Designed and engineered to make dough rolling fast and easy in any foodservice environment so professionals can spend less time in tedious production and more time expressing their creativity and making beautiful cakes and other creations. 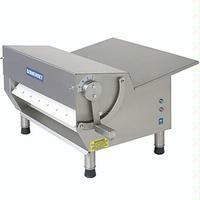 The Somerset Sheeter Creates Sheets Up to 30 Inches Wide in Seconds! The CDR-600 sheeter creates sheets up to 30" wide in seconds to an exact, uniform thickness for flawless presentation.